Hey everyone! Just a quick update on Corbelli. 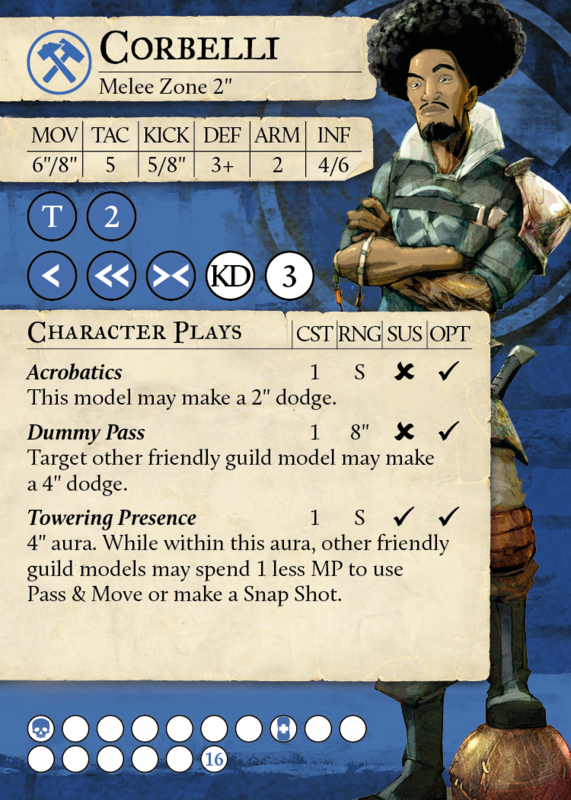 The cards for all of the new captains have gone live, and some of you might have noticed a couple of slight wording tweaks on the back of Corbelli’s card compared to the version that was spoiled earlier in the week. When we first posted the card up we believed that the wording intentions for Making Space and Playing the Game were clear enough, but we saw a lot of comments on social media about using these rules in an unintended way. We were faced with an interesting choice as a result of this. We could leave these rules out in the public with these unintended consequences, or change the text of the card to make the intention clearer. We chose to take the second option, changing the card text slightly in order to ensure the rules were being played publicly with the intention we brought out of playtest. We just wanted to make a quick blog post here to address these changes to be completely clear. We hope this has clarified things for everyone.